The Library has one Izmi Baby wrap available for hire, in Teal. These are also available on a try-before-you-buy basis, so if you’d like to hire a brand new one to see how you get on with it, and keep it if you like it, please go to ‘Retail’ at the top of the page. Use from birth – the Izmi® Wrap can be used from newborn (5lbs) for complete carrying freedom. 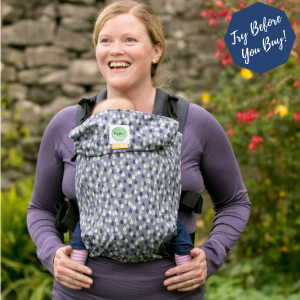 It has been designed to adapt to both you and your baby, giving you a snug and supportive fit which ensures your baby is both safe and comfortable. 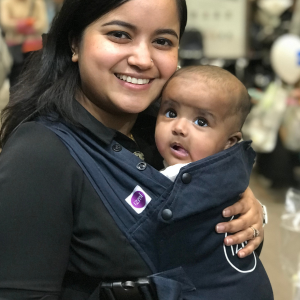 Close enough to kiss – little ones love being close to their parents and cuddles are always a priority, with the Izmi® Wrap you are able to hold your baby close to you and still remain hands free. 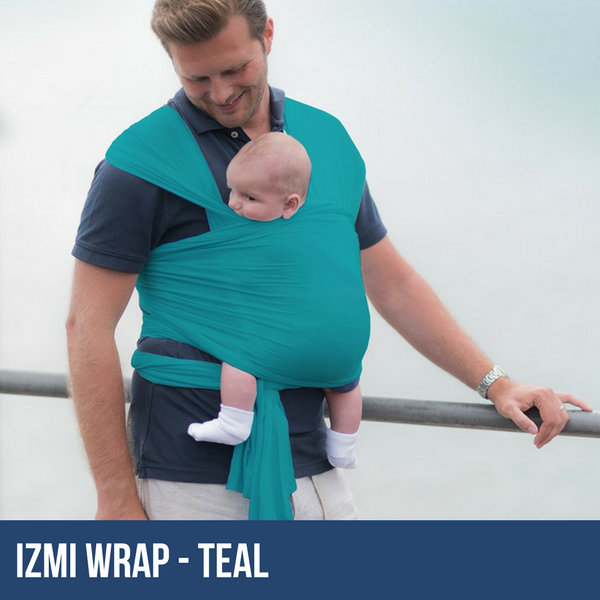 Hands free carrying is possible with the Izmi® Wrap without the bulk of a padded carrier; just put the wrap in your bag when you’re out and about for when your little one wants a cuddle. 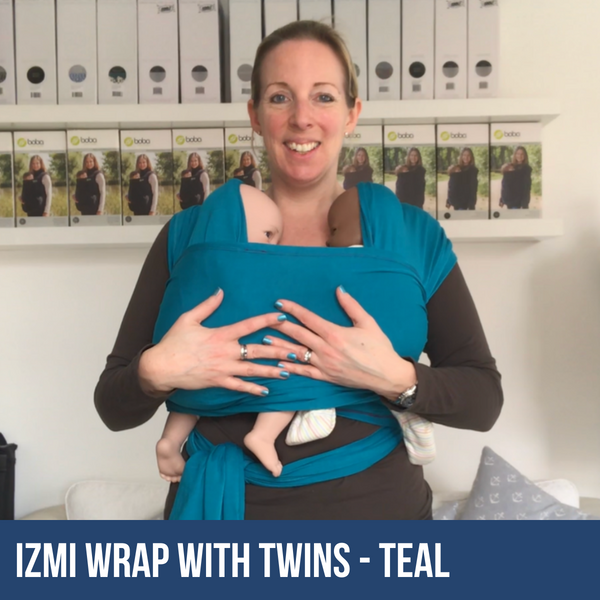 Two carrying positions; front carry and side carry are possible with the Izmi® Wrap. 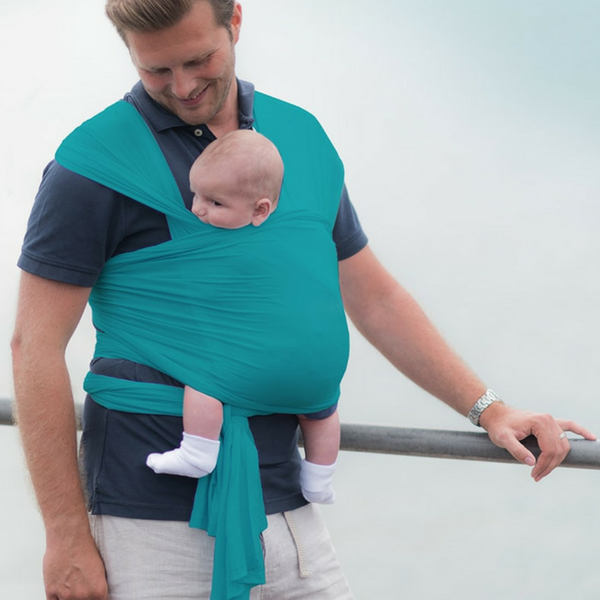 The Izmi® Wrap can also be used as a breast feeding support, please note that this is not a hands free carrying position, but instead offers additional help to you when breast feeding your little one. Perfect for newborns and babies up to around 9-12 months. IZMI BABY WRAPS ARE NOW AVAILABLE ON A TRY-BEFORE-YOU-BUY BASIS! 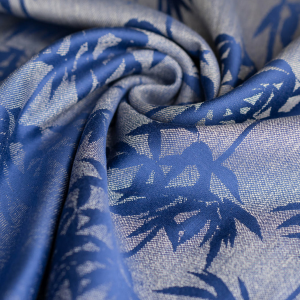 If you’d like to try one before buying, buy a new Izmi Baby Wrap online and try it out. If for any reason you don’t like it, return it within 2 weeks of the purchase date and you will be refunded the purchase price (minus the £15 2-week hire fee and outgoing postage). Just get in touch to let us know you’d like to return it and to request the return address. Click here to buy an Izmi Baby Wrap on Try-Before-You-Buy.